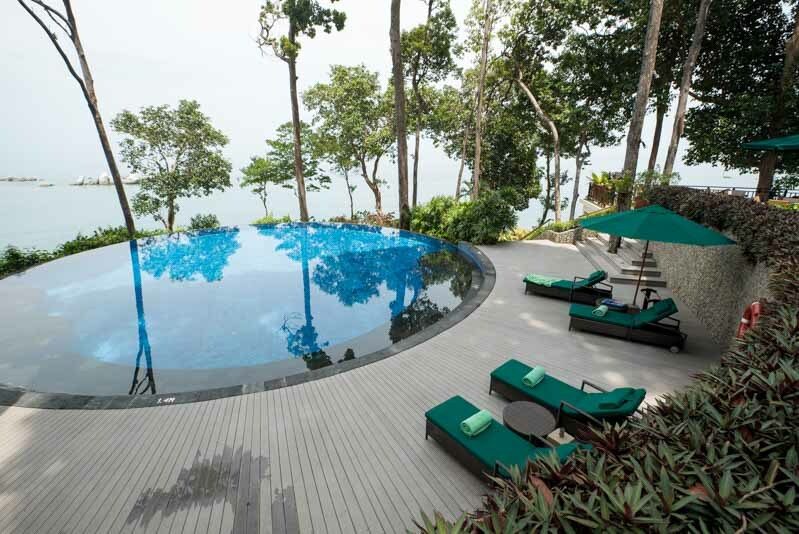 Just 45 minutes by ferry from Singapore, Bintan is home to a plethora of luxury villas including Banyan Tree Resorts. On this particular media trip, I’ve been invited to explore Banyan Tree Bintan firsthand, where tropical seclusion and pampering collide for a truly romantic couple getaway. Yes, I brought my significant other to truly immerse in what should rightfully be a romantic weekend despite work requirements. Work hard, play hard people. Banyan Tree Bintan comprises of 64 villas perched on a cliffside, facing the panoramic South China Sea – the villas have also been refurbished in 2013 with installed relaxation pools in each private villa. 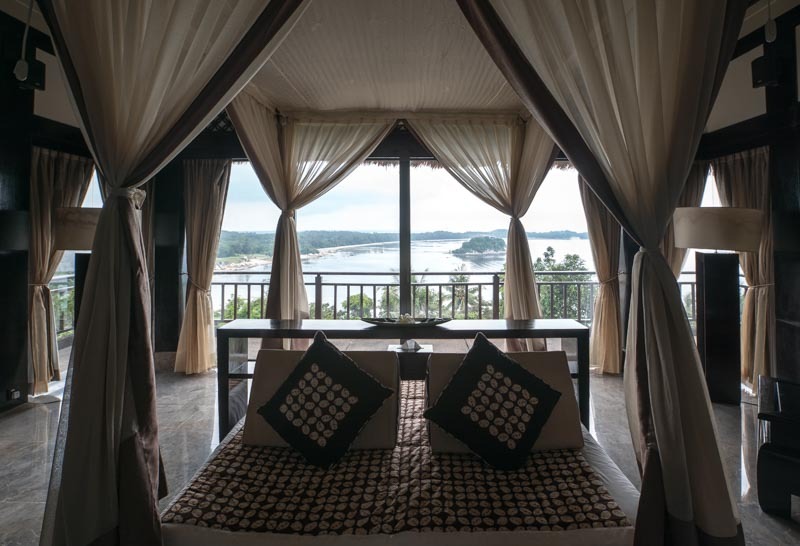 Upon arrival at the Bintan jetty from Singapore, it is evident that Banyan Tree is a class above other villas with their personal chauffeur service to bring you directly to the resort’s doorstep rather than scramble for a taxi. A short 10 minute ride later, we’re promptly attended to at Banyan Tree’s lobby. What’s there to do on the property you ask? 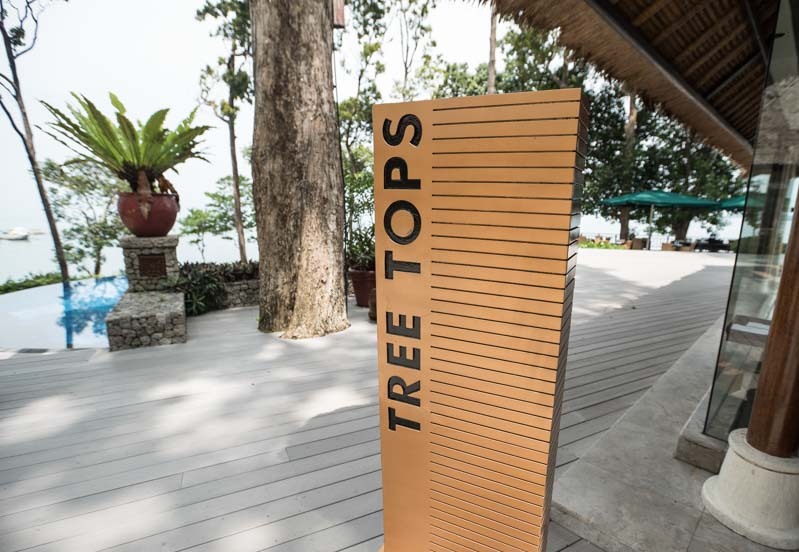 There are many activities to experience at Banyan Tree other than dwelling in your room, from freebies like the nature walk, yoga or mangrove tour, to paid activities like scuba diving, spa treatment and even open net fishing. It’s really up to you whether to have a lazy, lounging type of vacation or to immerse yourself holistically. Banyan Tree is the only all-villa establishment in Bintan, with traditional Balinese-style villas raised on stiles set on hillsides. 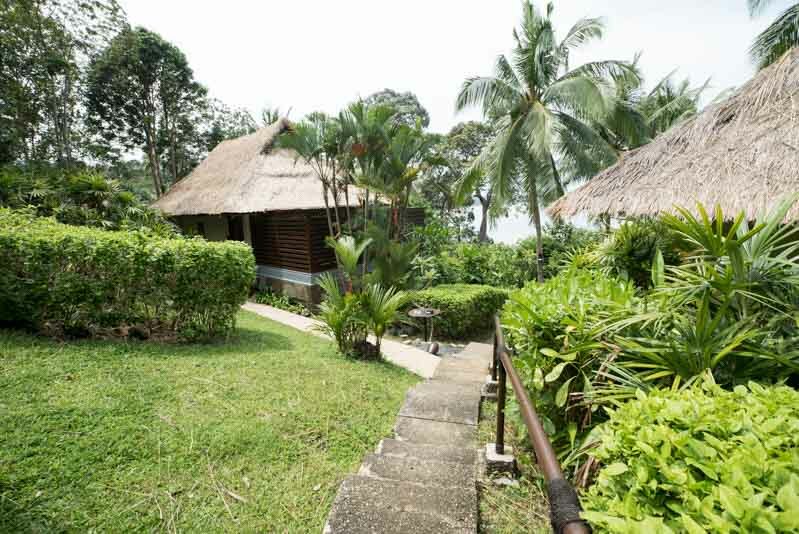 During our stay, we resided in the Seaview villa shrouded by natural greenery. 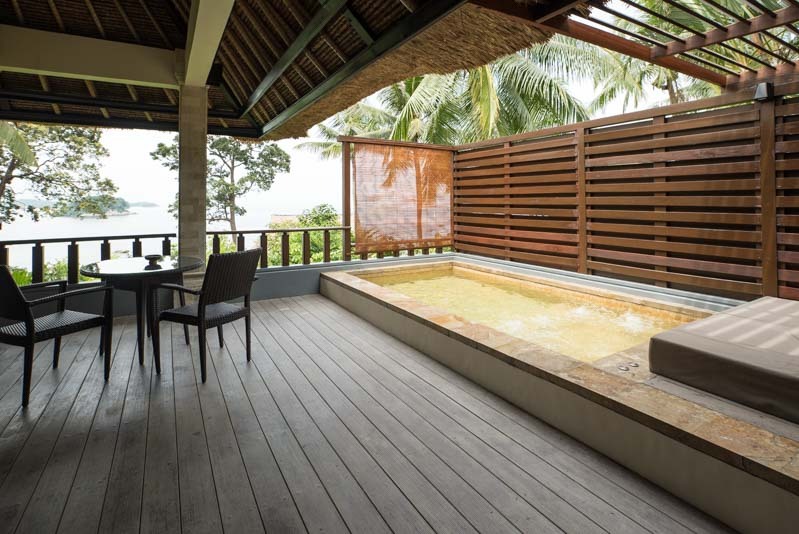 The Seaview luxury villa in Bintan offers the embodiment of tropical living. Rooms start from $316 USD per night here if you book in advance. 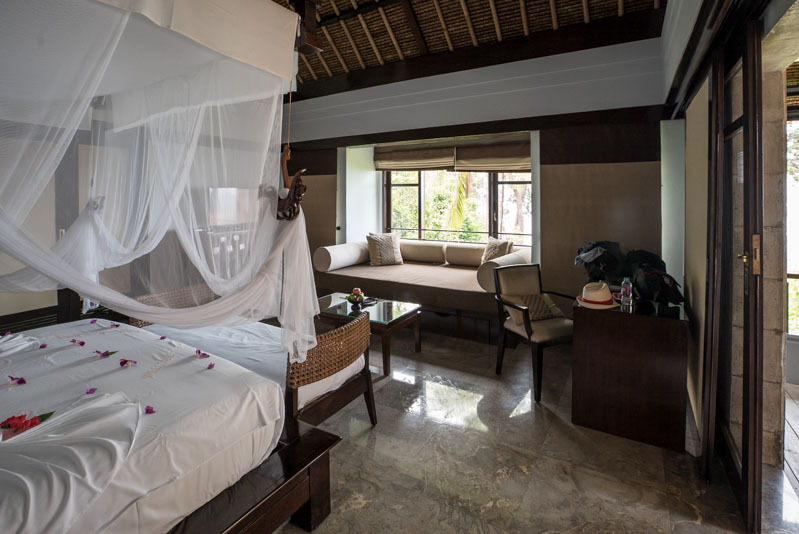 All villas feature colour TV, in-house movies and VCD player, air-conditioning, telephone, in-villa safe, hair dryer, bathrobes, sunken bath, and complimentary coffee and tea making facilities. Do note that phone lines occasionally get knocked out whenever there’s a heavy thunderstorm – this I know as a fact firsthand. 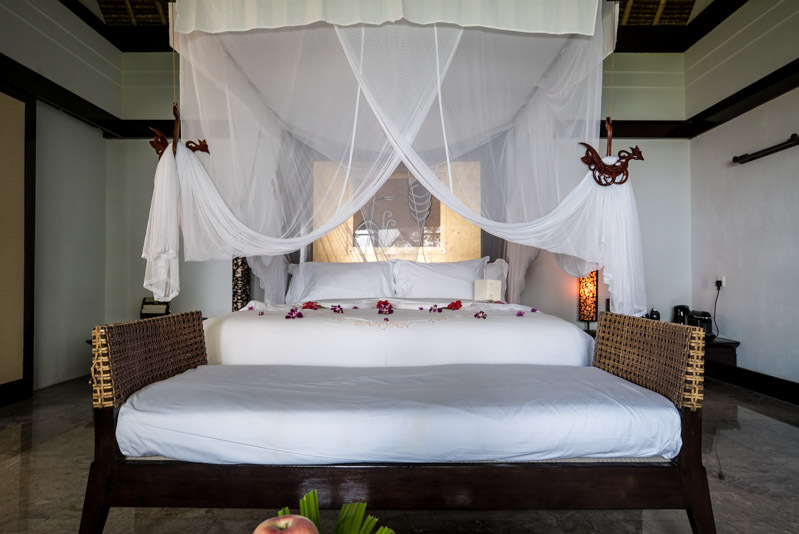 Surrounded by the forest, the presence of mosquitoes shouldn’t come as a surprise; the comfy king-sized canopied bed will keep you safe from the mozzies though, so be sure to draw the curtains before you sleep. Want a breath of fresh air? Step out onto your private balcony complete with an open-air relaxation pool. You can even turn on jet bubbles for that jacuzzi effect, although I wish the private pool temperature could be adjusted as well for a more relaxed experience. 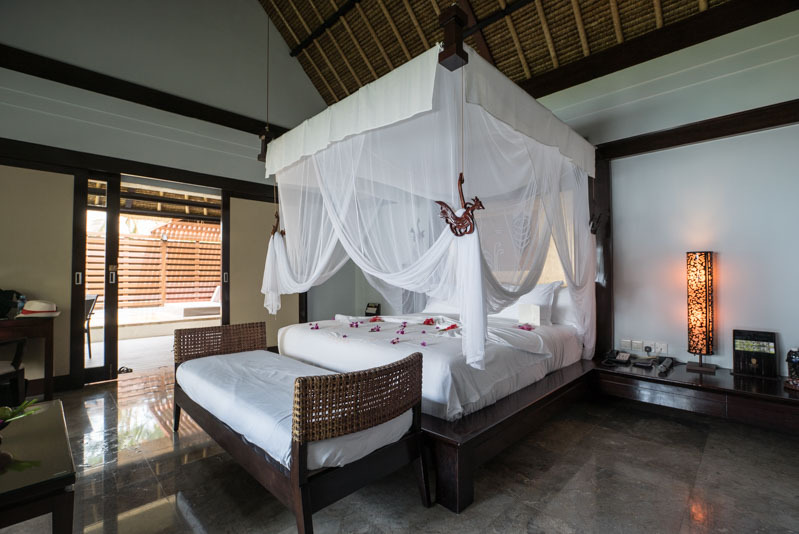 Each villa is replete with intimate touches like flower petals on the bed and surprise heart-shaped swans to assure couples of a romantic stay. 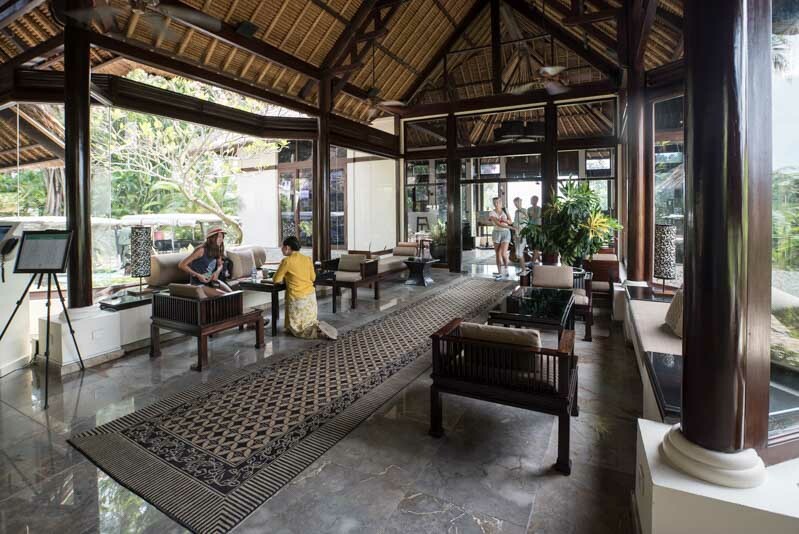 Traveling within the villa is also facilitated by Banyan Tree’s buggy service if you’re too lazy to walk. 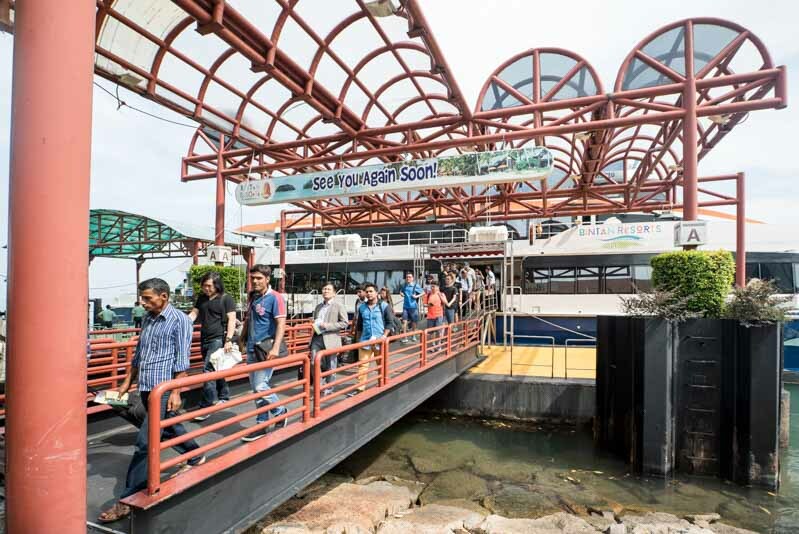 Just drop a call from wherever you’re at and a buggy magically appears within 5 – 10 minutes. Buggy life is king. 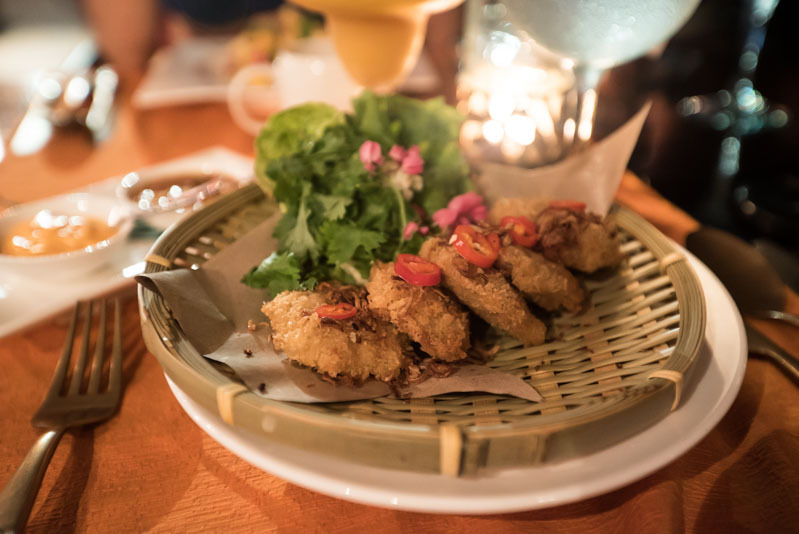 Although you’re free to explore the island for other food alternatives, it’s comforting to know Banyan Tree itself does offer a balanced menu amongst its signature restaurants. Treetops restaurant is located right beside the beach pool, and easily accessed via buggy (of course). 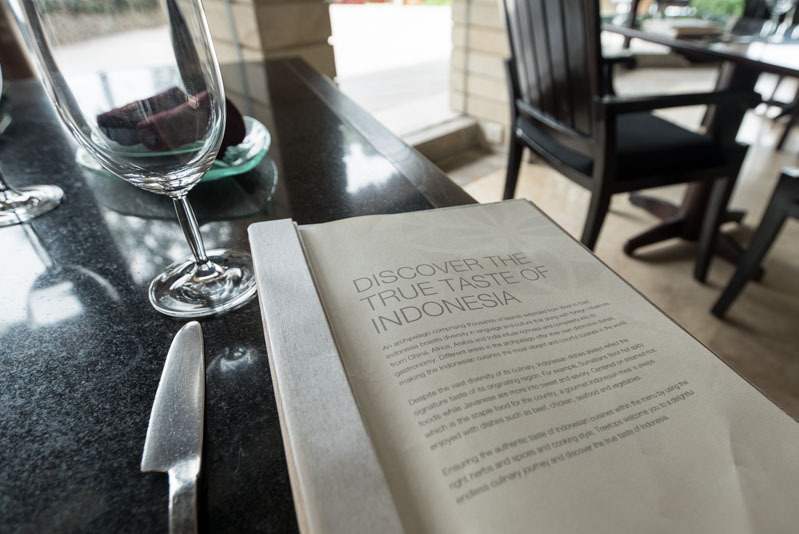 Treetops showcases exquisitely balanced authentic Indonesian flavours, with a selection of dishes including the famous Indonesian fried rice dish Nasi Goreng with flamingly spicy Sambal chilli. Enjoy robust Indonesia main courses at Treetops, as well as free flow prosecco during your included breakfast buffet at no additional charge. Free flow bubbly is something I’ve always adored about Banyan Tree even during my stay in Bangkok, and I’m glad to see this little touch applies across their properties. 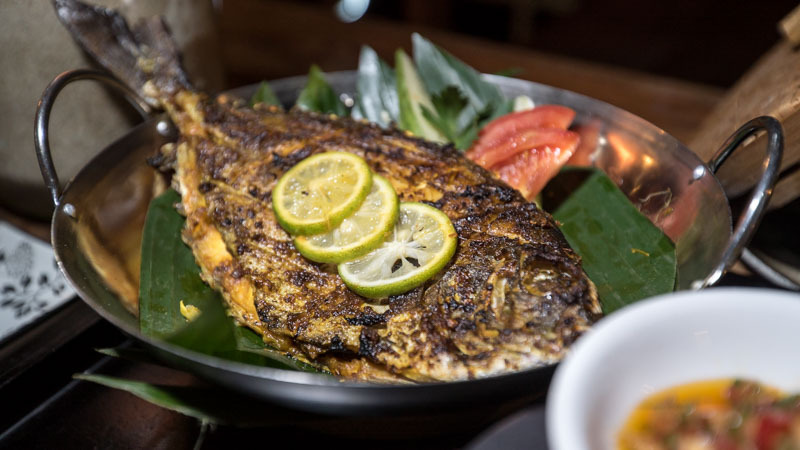 Banyan Tree’s signature restaurant Saffron is headed by Thai Chef Pimsway Pairote delivering modern Thai flavours at this fine-dining affair, more suitably for dinner. 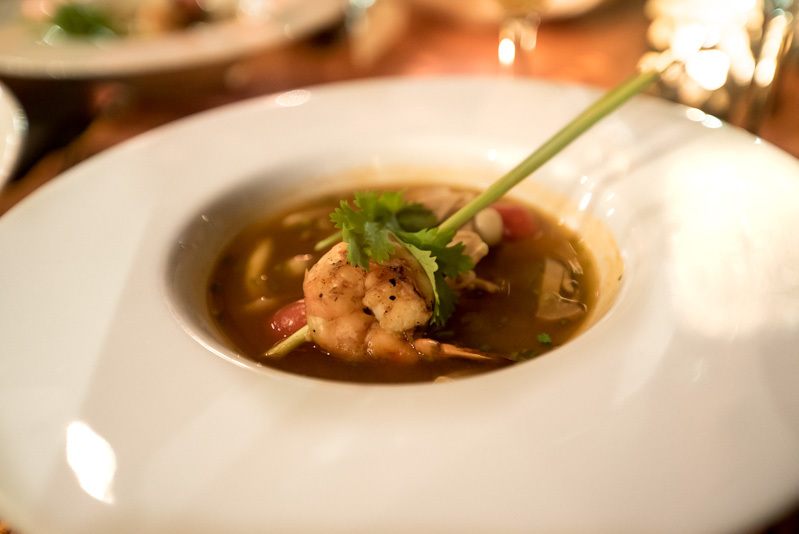 From the classic Tom Yum soup to Thai prawn cakes, fresh ingredients are sourced locally to present an Asian experience to whet the sophisticated palate. Great for a romantic night out, Saffron is yet another alternate dining within the comforts of Banyan Tree. 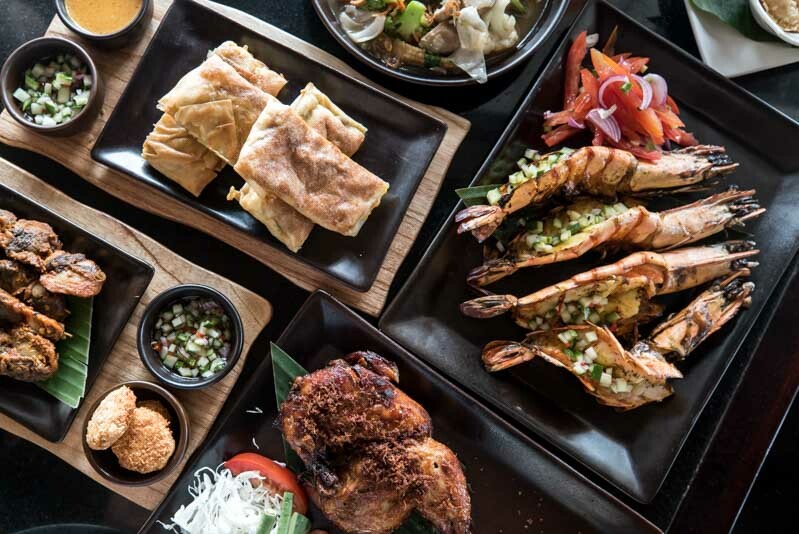 One of the key highlights of a stay at Banyan Tree Bintan is the destination dining options available that will really ramp up the romance factor. Dining on the 8th hole of Laguna golf course or at a private table on the coastal rocks, dazzling your partner has never been easier. 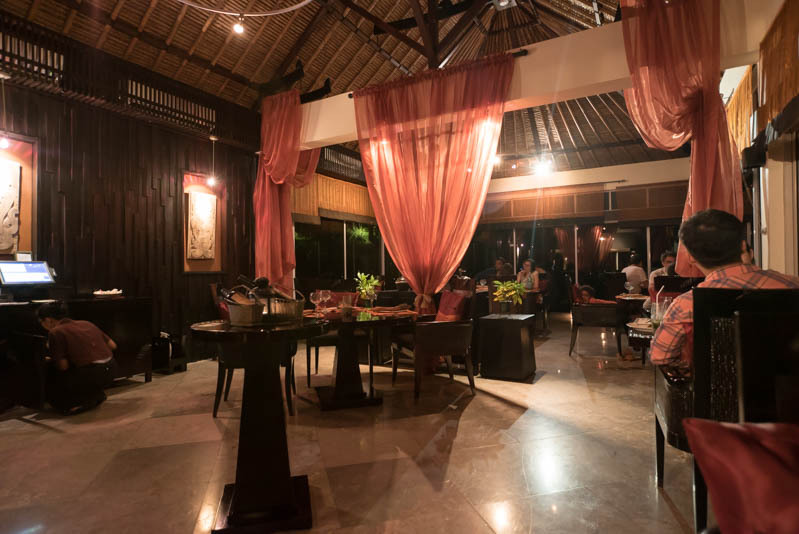 For us, we experienced the Kelong dining experience located off shore from Angsana Bintan, the sister resort of Banyan Tree. 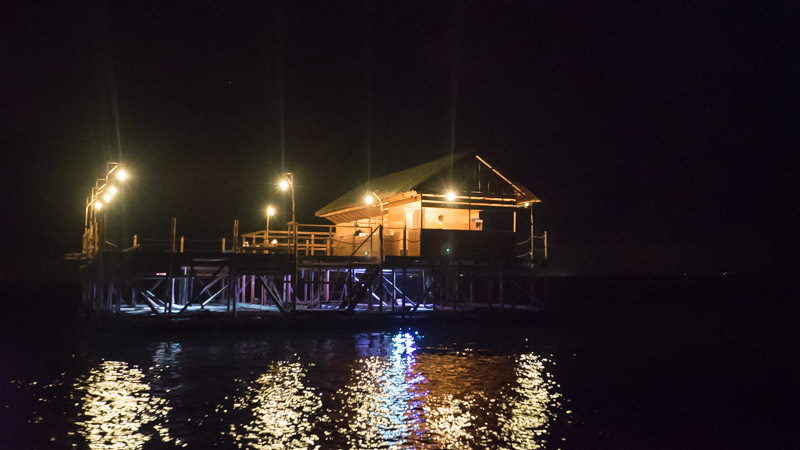 An authentic dining experience over the sea on stilts, climb onto the local boat and ride out to dinner at the traditional fisherman’s house (Kelong). 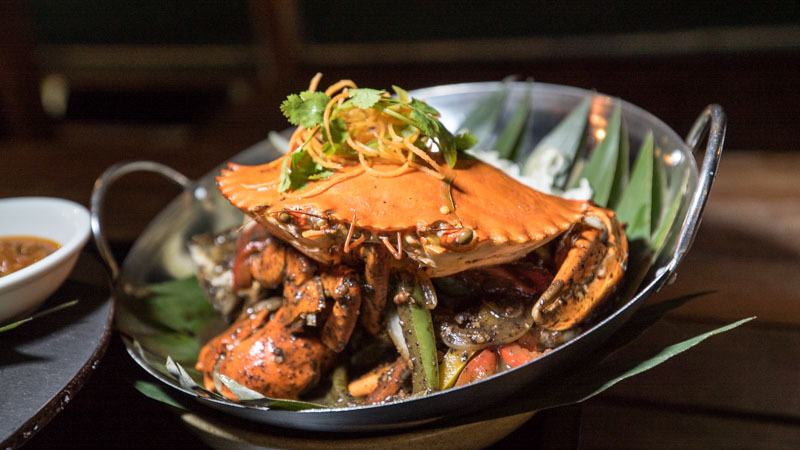 Underneath wide open skies, Kelong Restaurant offers fresh savoury seafood and the cool of sea breezes. 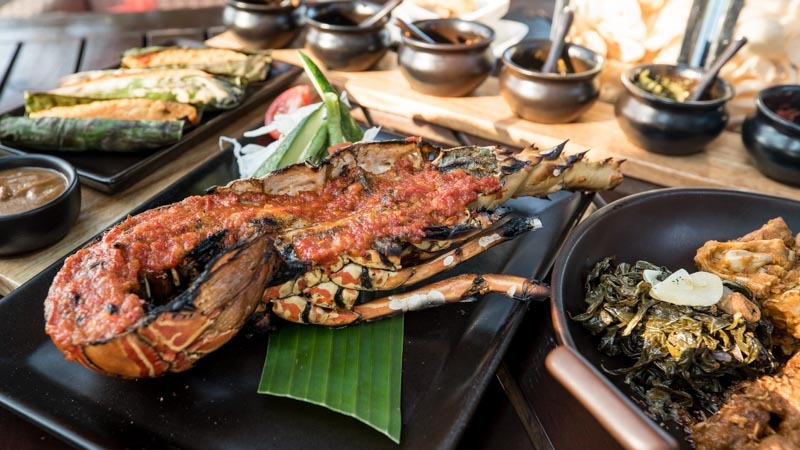 The Kelong’s signature dishes include sea snails, known locally as gong-gong, black pepper mud crab and stir-fried buttered prawns – a three course seafood menu will set you back 909K IDR, but a rustic experience like this? Priceless. What’s a relaxing villa escape without some spa pampering? Spa therapies at Banyan Tree feature traditional Indonesian ingredients such as coconut milk, moisturising avocado and scrubs pounded from native herbs and spices. Start off with a soothing foot bath and scrub with their natural blended ingredients. The friendly service will loosen up whatever tight knots you have from a life left behind in the urban city. 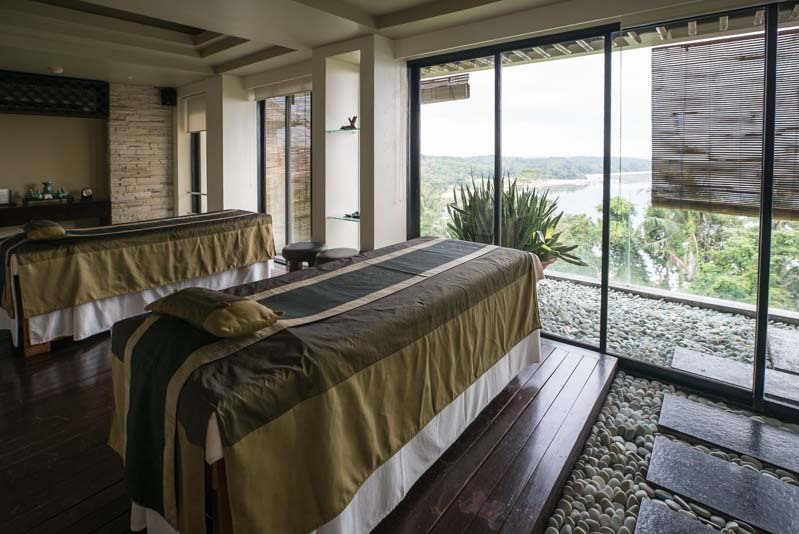 With a menu of tailored spa treatments and facilities, staying stressed is not an option at Banyan Tree Bintan. It’s a little odd how we interspersed a cocktail of spa and yoga stretches throughout our stay, but hey, whatever rocks your boat to get to that shore of peace. After 3 days and 2 nights spent at Banyan Tree Bintan, this luxury getaway is no doubt a convenient and relaxing trip perfect for couples. Getting chauffeured everywhere via buggy is an extravagance I’m going to miss now that I’m back to using my legs. A pricey affair at Banyan Tree, however the level of hospitality and service is exactly what you would expect at that rate. Save up for that special weekend date and you won’r regret it.